When you turn to us for Jetvac truck repair in Orlando, FL, we’ll be there for you right away and treat your needs as our main priority. One of the main roles of jet/vacuum trucks is to clean city sewer lines. These trucks remove dirt and debris in sewer lines before it can build up and cause problems at a treatment plant. If you’re in charge of a regular sewer cleaning project, you likely recognize the importance of having a properly functioning jet/vacuum truck at your disposal at all times. When one of these trucks malfunctions, not only may it cause more work for you later on, but it may also compromise the efficiency of your city’s treatment plant. At Pat’s Pump & Blower in Orlando, Florida, we’re here to prevent both of these situations from occurring with our Jetvac truck repair services. When you turn to us, we’ll be there for you right away and treat your needs as our main priority. If you put off calling us because you don’t think we will be able to repair your truck, don’t hesitate to pick up the phone and call us. We are capable of doing Jetvac truck repair on trucks built by any manufacturer. Providing an extremely high level of customer service during the Jetvac truck repair process is something we strive for at all times. If you haven’t worked with us at Pat’s Pump & Blower before, we know you will be pleased with the quality of our work, professionalism, and how quickly we are able to repair your truck. 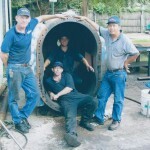 If you need someone you can trust to repair your jet/vacuum and truck, get in touch with us at Pat’s Pump & Blower.